I have too many favorites from Ellen and Rish's Montaluce wedding, but this image of Rish and his bride at sunset is one of my favorites. 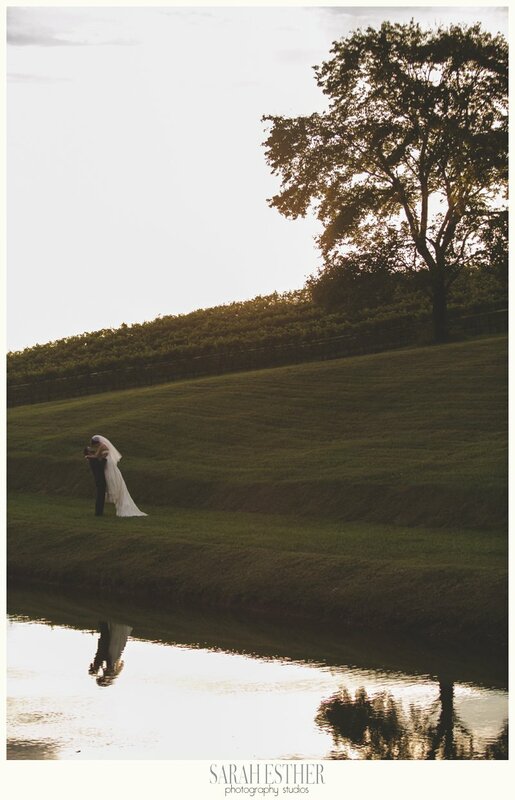 I love the reflection in the water, the light on the vines, and the GIANT hug he's giving her. Perfection.